You could be among the 80 percent of Americans who file a tax return each year and expect to receive a refund. According to the IRS, $302 billion in refunds on 2016 tax filings were issued in 2017. That’s an average of $2,782 per tax filer. 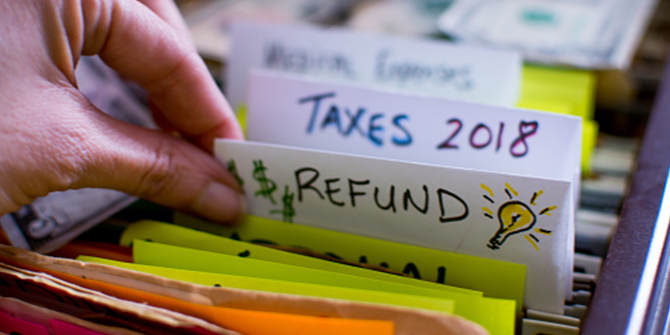 While getting a refund seems like a reason to celebrate tax time — you can pay bills or even plan for a trip — you could be celebrating every pay period. Instead of giving the government an interest-free loan, you could keep more money in your wallet with these tips. Every paycheck, your employer takes a percentage of your gross pay —your withholdings — and sends it to the IRS. If you're withholding the right amount, as determined on your Form W-4, the IRS should get as much money as it's due. The amount due is calculated by a withholding formula, designed to keep you from owing money in April. Given that, the withholding formula errs on the side of caution, and often over-withholds. When that happens, you end up giving the IRS an interest-free loan. If the amount of over-withholding had been sitting in a Money Market Share Account earning dividends, you may actually have more money to spend at tax time! With the average refund topping close to $2,800, you may prefer to have less tax withheld up front and receive more in your paychecks. Instead of continuing to overpay your taxes, talk to your Human Resources department about filling out a new W-4. You can complete a new W-4 at any time. If you plan to make changes to your withholding, the IRS’ Withholding Calculator gives you the information you need to fill out a new W-4. It can help you determine if you need to adjust your withholding to make sure you're not overpaying (or worse, underpaying) your taxes. You may not nail your tax burden exactly, but it helps to get closer to zero — not owing money to the IRS and not getting a refund. For low-cost tax help next year, contact the Credit Union. Those who prefer to complete their taxes online can use TurboTax, typically at a discounted cost for LGFCU members. The advice provided is for informational purposes only. Contact your tax advisor for additional guidance.